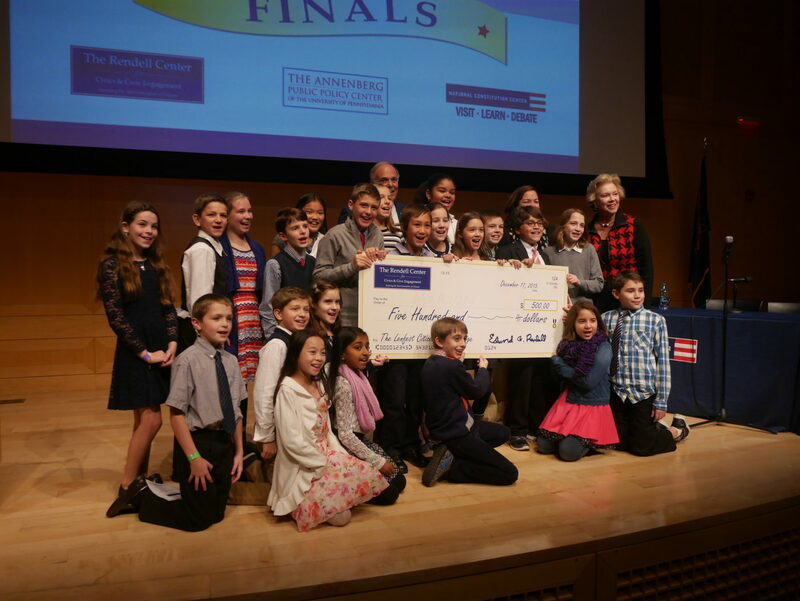 Hundreds of fourth- and fifth-grade Philadelphia-area students showed off their impressive knowledge of the Fourth Amendment’s prohibition on unreasonable search and seizure at the finals of an essay competition sponsored by the Rendell Center for Civics and Civic Engagement. 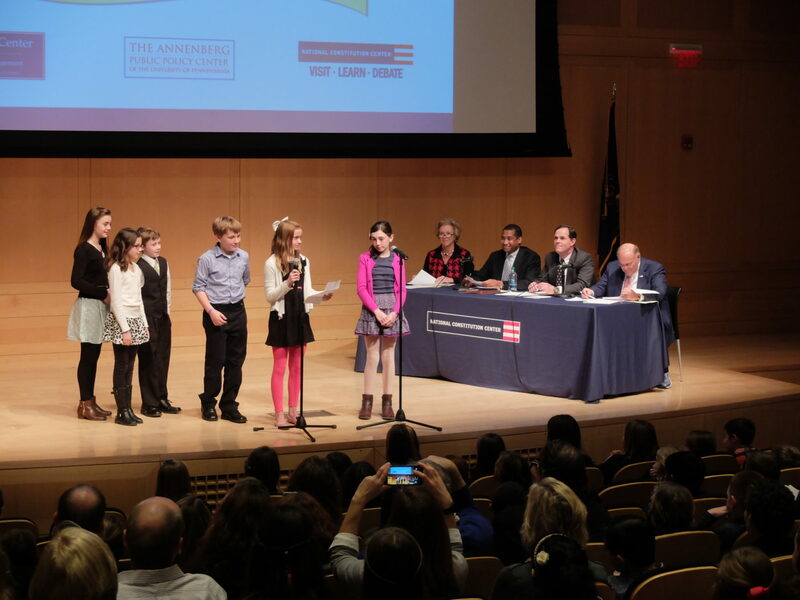 The Rendell Center’s 2015 Lenfest Citizenship Challenge, the third year of the essay competition, drew about 250 students on a rainy morning of Dec. 17 to the National Constitution Center. 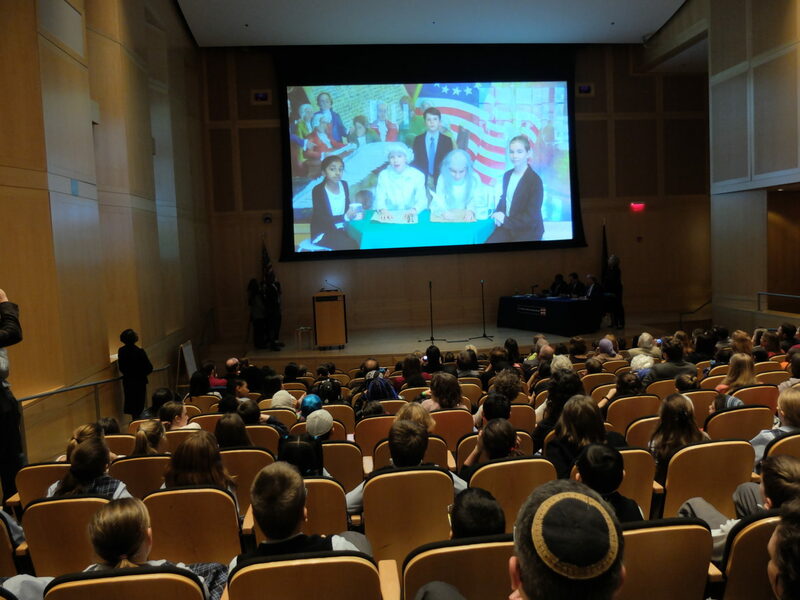 There, on the stage of the Kirby Auditorium, the finalists brought their essays about the Constitution and the law to life through presentations — some simple, some elaborate — with skits and videos, musical performances and PowerPoint slides. 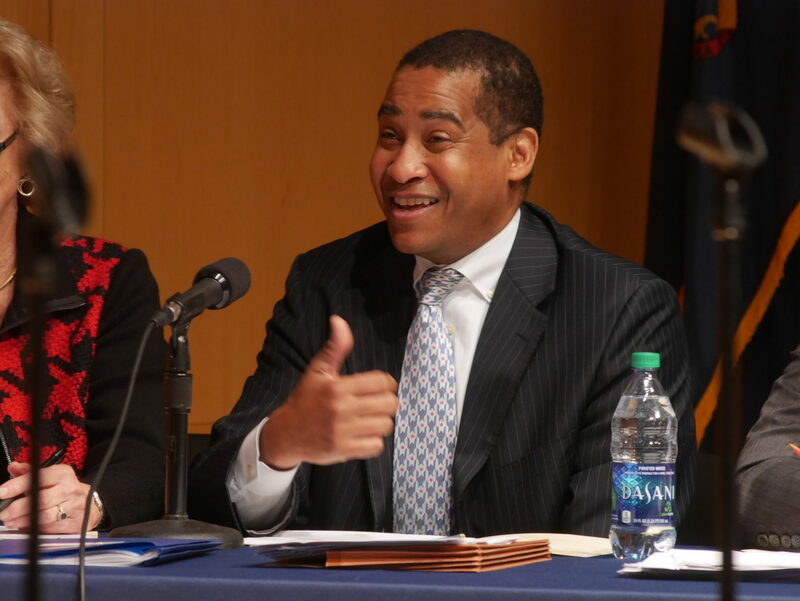 The 10 finalist teams were chosen from more than 250 submissions to the Rendell Center, which is based at the Annenberg Public Policy Center (APPC). 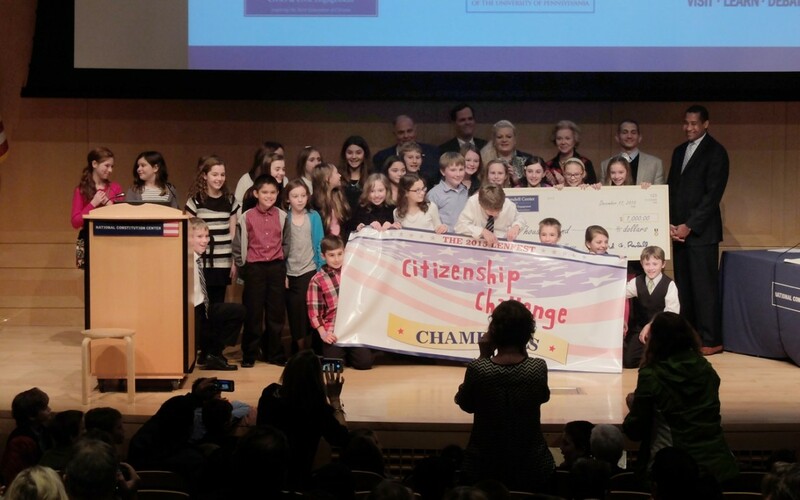 The Citizenship Challenge was co-sponsored by APPC and the National Constitution Center. 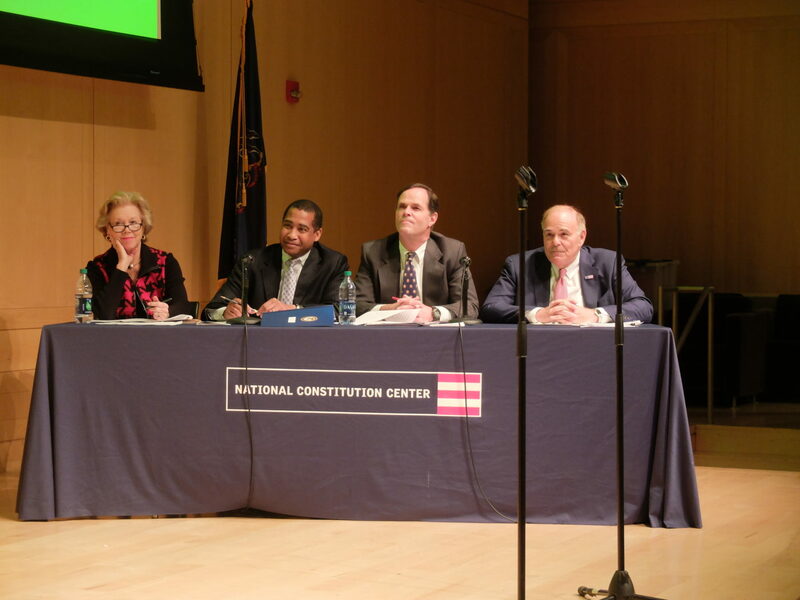 The students were also questioned by a panel of four judges — the Rendell Center co-founders, former Pennsylvania Gov. Edward G. Rendell and Judge Marjorie O. Rendell of the 3rd Circuit Court of Appeals; Committee of Seventy President and CEO David Thornburgh; and Zane Memeger, U.S. Attorney for the Eastern District of Pennsylvania. 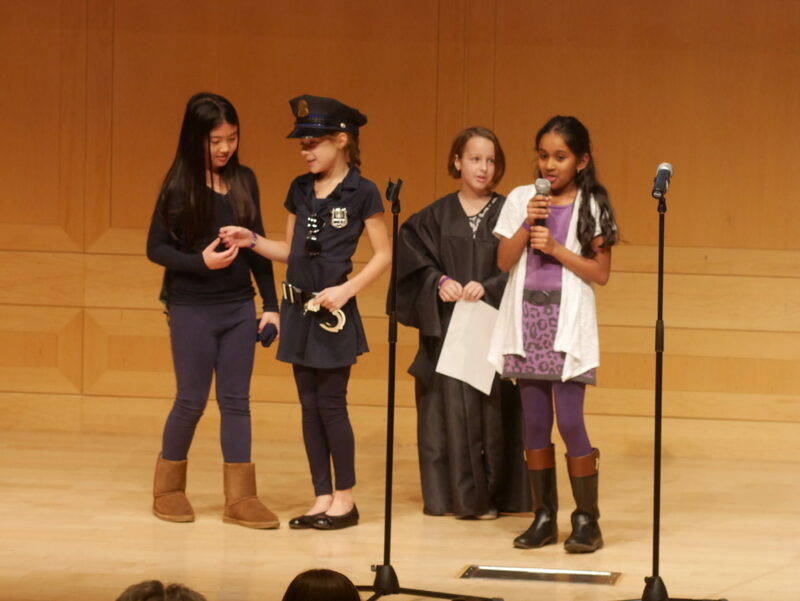 The students and judges talked about the balance between public safety and individual privacy in cellphones and encryption, airport searches and traffic stops. Former Gov. 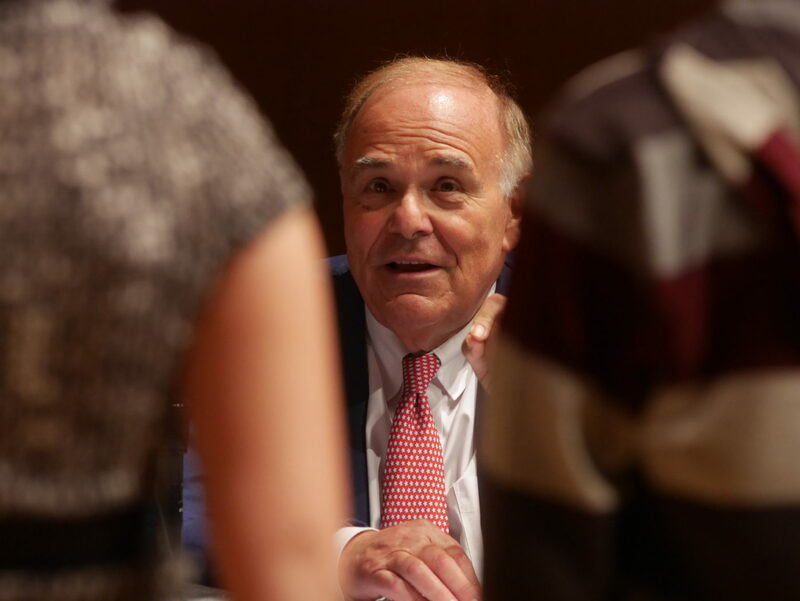 Rendell pointed out that the Fourth Amendment prohibits state action — so that while a public school administrator is prohibited from conducting a search, a teacher in a private school that does not receive government funding is not. Students from E.M. Stanton School in Philadelphia considered the problem of racial profiling in searches. The Radnor Elementary team looked at, among other things, the case of a private mall security guard searching a shopper’s bag. 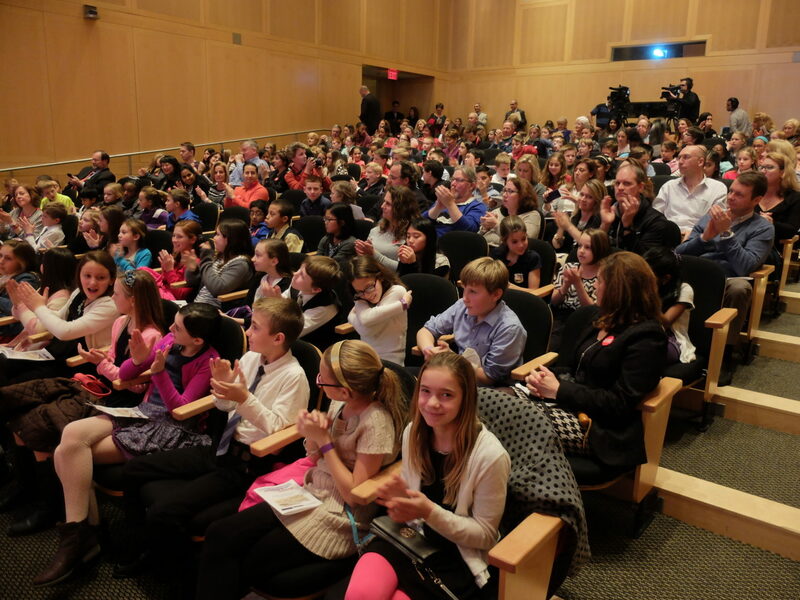 “I think that the creativity and innovation all of you showed was spectacular,” Ed Rendell said. 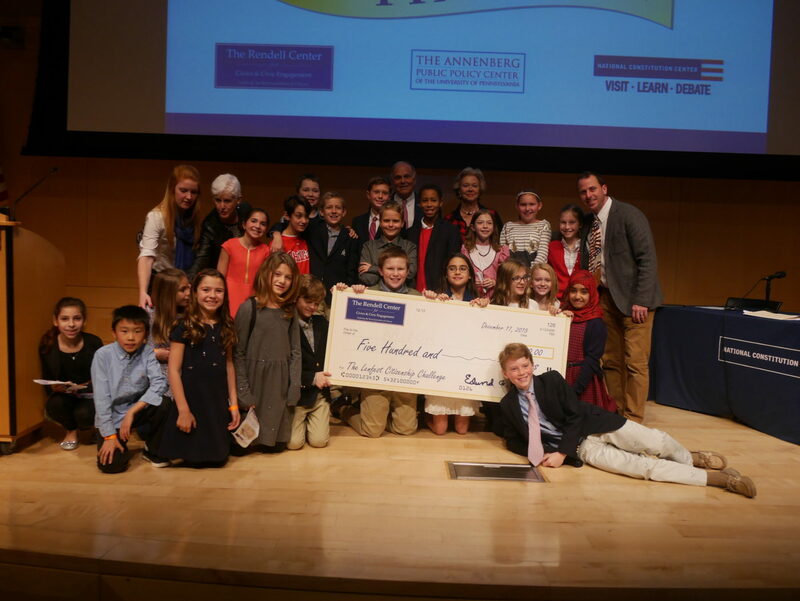 The winning essay team from Haverford Township School District’s Chestnutwold Elementary. Panel of judges for the 2015 Lenfest Citizenship Challenge. Judge Marjorie O. Rendell of the 3rd Circuit Court of Appeals. Former Pennsylvania Gov. Edward G. Rendell. Zane Memeger, U.S. Attorney for the Eastern District of Pennsylvania. 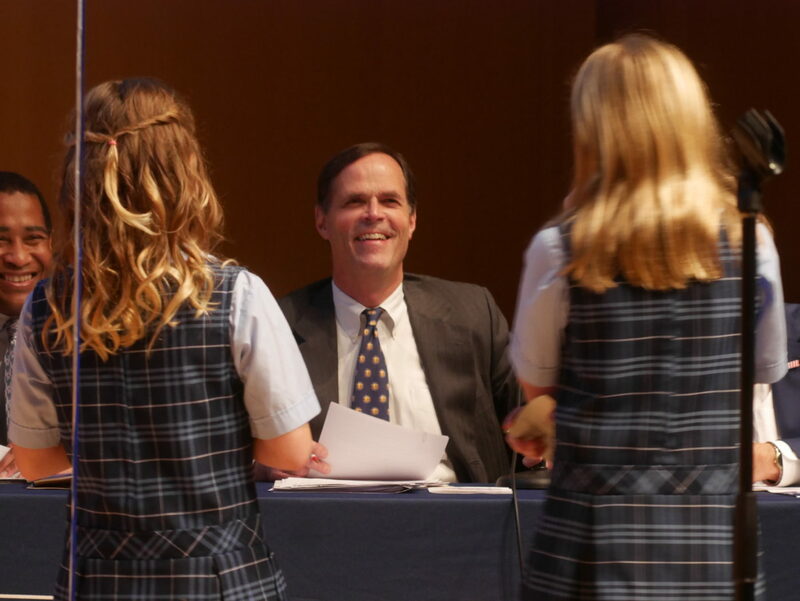 David Thornburgh, Committee of Seventy President and CEO. 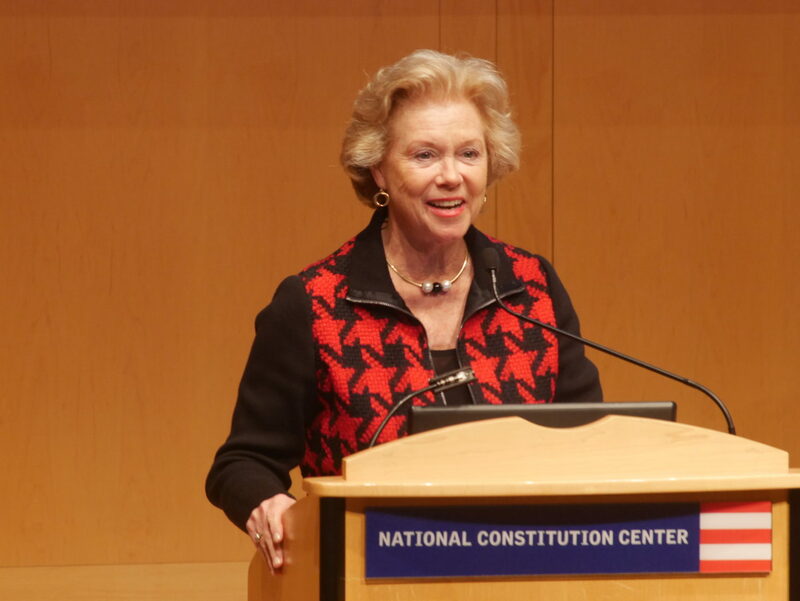 Audience fills Kirby Auditorium at the National Constitution Center. Students from Eagleville Elementary perform a skit. Todd Serpico’s team at Radnor Elementary. Audience watches a video made by one of the classes. 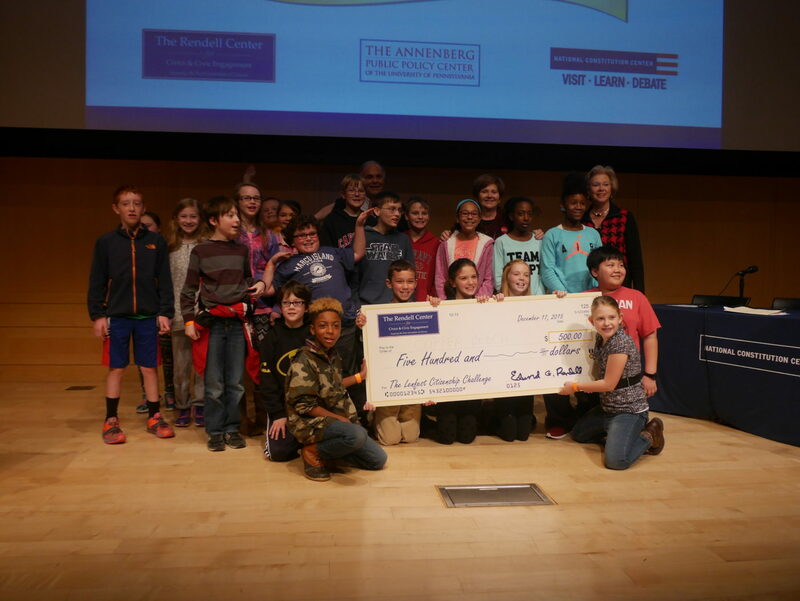 Linda Hagarty’s team from Copper Beech Elementary School, Abington. 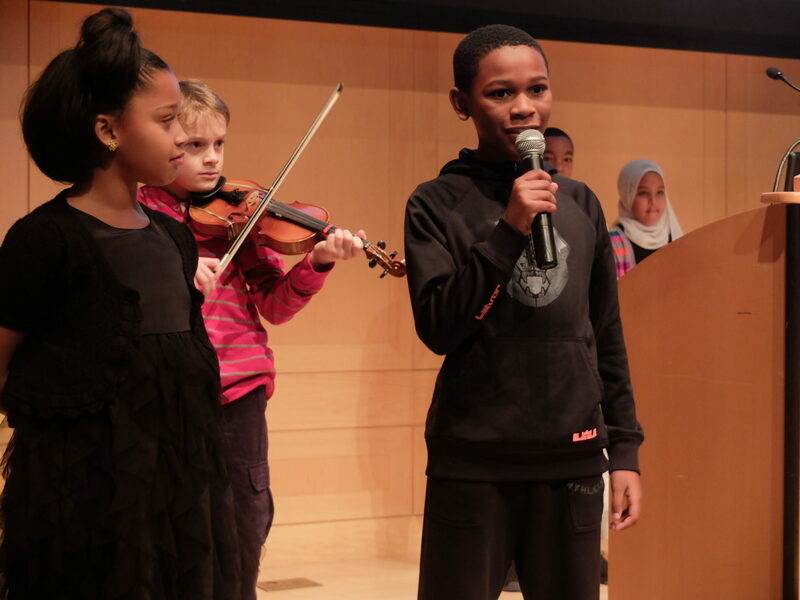 Students from E. M. Stanton Elementary present. 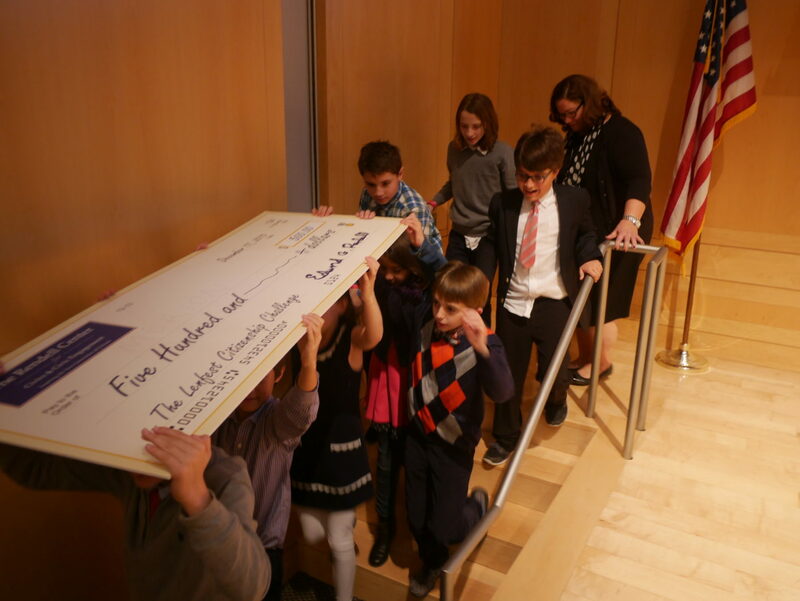 Merion Elementary students carry their winning check. The Merion team from Ann Friedlander’s class.